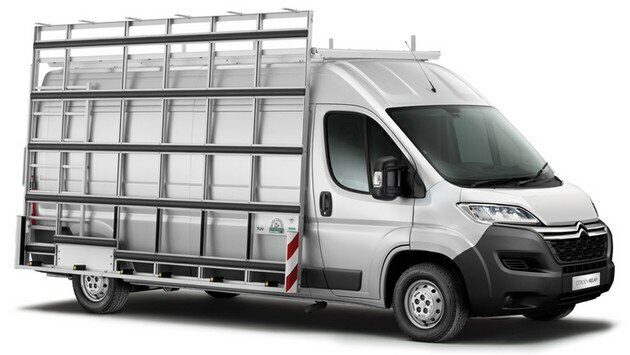 Our Coach Builder's’ Glass Carrier range can be fitted to Citroën Berlingo, Dispatch and Relay panel vans, making Citroën an attractive prospect for any glass company. To purchase a Glass Carrier, contact your nearest dealer. Citroën Motors Ireland Ltd does not accept any liability whatsoever and howsoever incurred in respect of works carried out by such independent Companies, and customers must assure themselves of suitability, quality and legal conformity of such conversion works.